Special Markers for Art & Craft Works -for decorating and writing on glass, porcelain, plastic, metal, rubber, wood and card. Permanent and Acid Free. 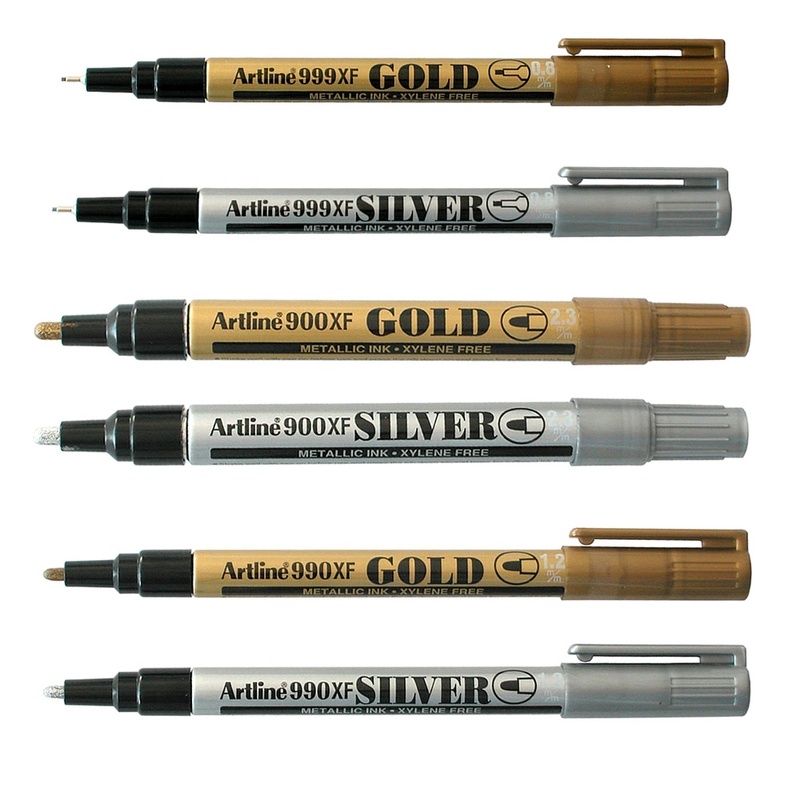 Artline Metallic Ink Markers are rich in gold and silver pigments and create an excellent metallic effect. They are quick drying, highly water and fade resistant, and completely opaque even on dark or transparent surfaces. The colour will remain crisp over a long period of time. Permanent and Acid free. A bit about the brand: From bringing ideas to life to helping you realise your potential; letting your messages be heard or articulating your memories, things simply flow better with Artline.